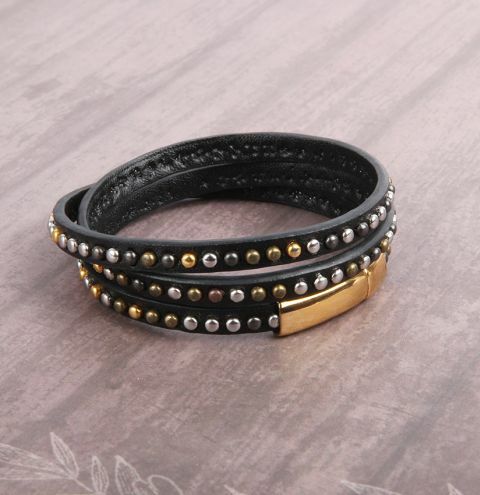 Make a fancy wrap studded bracelet with our new metallic cord! Wrap the cord around your wrist and work out the desired length. Cut it to size and carefully glue the clasp onto the ends.